Maybe it's time to show your painting talent! Let's make some fun or to be a artist! 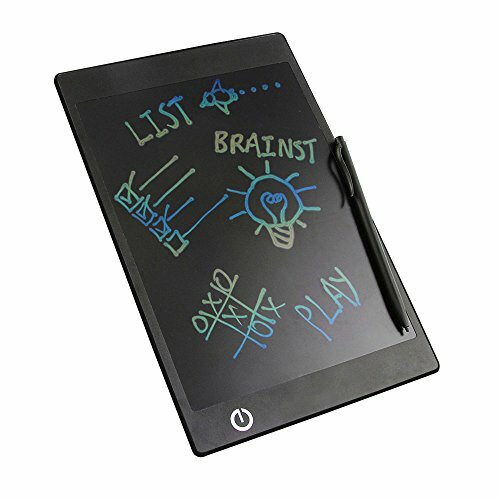 LCD Writing Tablet uses flexible liquid crystal display technology. The screen is sensitive to the stylus pressure when writing text or drawing pictures and graphics. The thickness of lines drawn will vary in thickness based on how much pressure you apply with the styles. So when you use it, feel like painting or writing on a paper. The tablet can be erased over 20,000 times. Just press a button and the screen will be cleaned. Low consumption, when you writing or painting something on drawing tablet it won't use any battery power until you click the erase button. The device is very thin (just 0.2 inch thick) and very light (just 5.8 ounces), making it very easy to stow, carry and use. If you have any problem during using our writing tablet, you are welcome to contact us for further assistance. We will do our best to assist you and making you 100% satisfaction. If you have any questions about this product by LifBetter, contact us by completing and submitting the form below. If you are looking for a specif part number, please include it with your message.